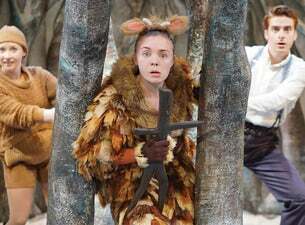 From the creators of the The Gruffalo and hot on the heels of the Gruffalo’s sell-out UK tour and monstrous West End success comes the The Gruffalo’s Child - with attitude! Just how brave is she? One wild and windy night the Gruffalo’s child ignores her father’s warning and tiptoes out into the snow. After all, the Big Bad Mouse doesn’t really exist...or does he?